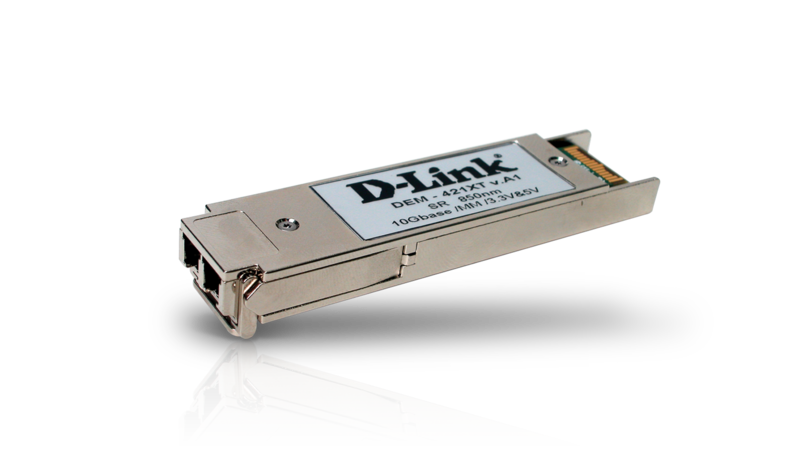 Designed to support distances up to 300 meters, the DEM-421XT is a high performance 850nm Multi-Mode XFP transceiver. Supporting Full-duplex, 10Gigabit speeds on Multi-Mode fiber cables. The DEM-421XT is 802.3ae 10GBASE-SR compliant and supports Full-duplex 802.3x Flow control. The DEM-421XT provides the necessary signal amplification for data to be transmitted to the network cable from the port, and vice versa. The DEM-421XT is hot swappable. You can remove or replace the transceiver with the system powered on. This permits modules and transceivers to be added or swapped without interrupting network systems.